The author of the posts will not assume any liability or responsibility to any person or entity with respect to loss or damages incurred from information contained in this blog. Any resemblance to some other training materials and/or CCIE exam is completely coincidental. 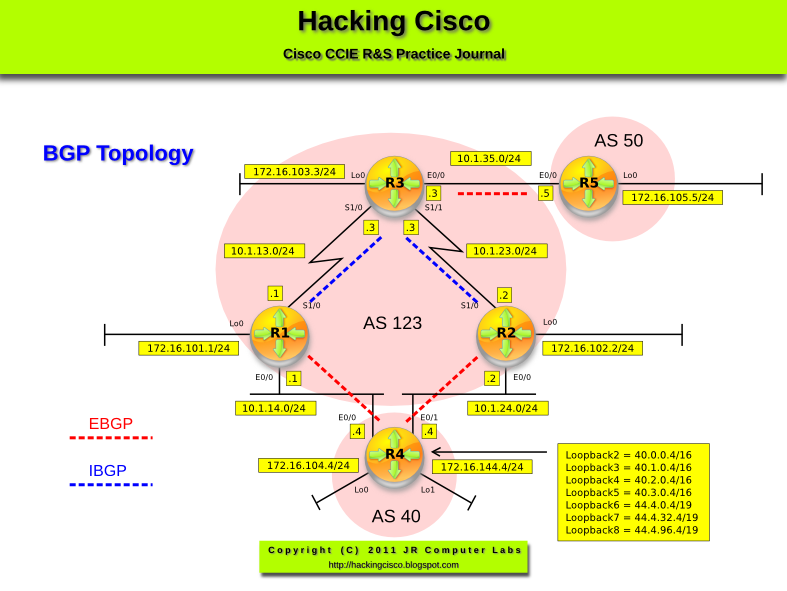 I have created a pdf document with OSPF Lab 1 and 2 containing a detailed lab breakdown. Check it out if want. Any feedback is most welcome. R3 in AS 123 is going to peer with few hundred routers running iBGP session and you will need to save its resources (CPU). Configure R3 iBGP peering in such a way that it checks the routing table only once and replicates the same update to all its iBGP peers. Pic. 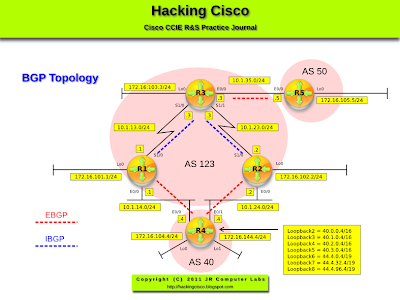 2 - BGP Peer Group. Pic. 3 - BGP Peer Group Members Summary. All neighbors that shared the same peer group configuration also had to share the same outbound routing policies. All neighbors had to belong to the same peer group and address family. Neighbors configured in different address-families could not belong to different peer groups. (The second bullet point tries to underline the fact that you cannot mix iBGP and eBGP peers in the same peer group).